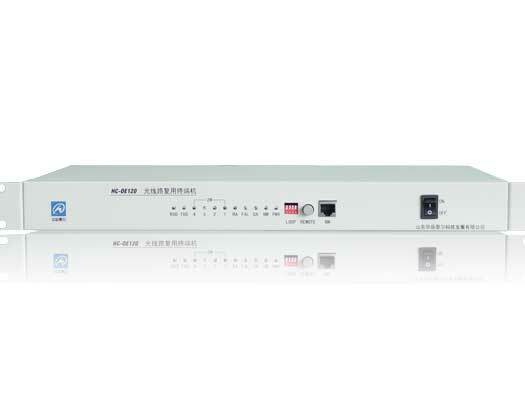 The HC-OE120-4E1 is a fiber media transmission device for 4×E1/G.703. It provides one EOW and one RS-232C data port added with both AC and DC power supply. For the E1 port, there are two models of connector. The BNC model provides unbalanced 75Ω coaxial connections while the RJ45 model provides balanced 120Ω connections over twisted pair wire. E1 port remote loop by DIP switch or CLI.